The future of Hitman seemed in question, after Square Enix and IO Interactive parted ways in May 2017. Thankfully, the developer retained control of the Hitman IP. Not much time has passed since then. 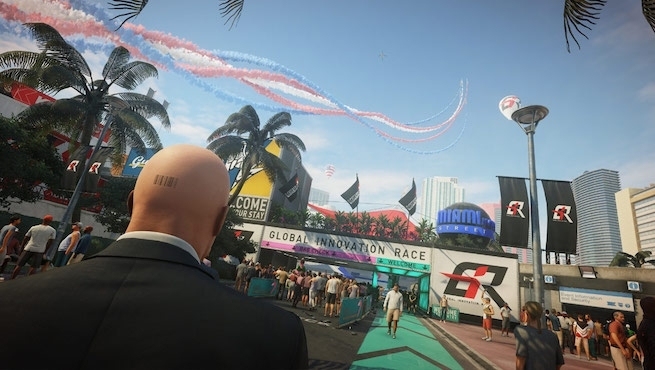 However, the stealth franchise is looking as healthy as ever, especially with Hitman 2‘s release date fast approaching. Now IO Interactive has announced the game’s gone gold. The developer took to Twitter to reveal the news in a celebratory tweet, complete with an image of Agent 47 bathed in gold lighting. We’re incredibly proud and excited to announce that HITMAN 2 has GONE GOLD! Hitman 2 arrives in less than two months, yet there’s still so much IO has yet to reveal. For instance, of the six locations featured in the game, only two are publicly known–Miami and Colombia. A reported leak suggests the other locales include Mumbai, New Zealand, another location in the United States, and a North Atlantic area. What the developer has been showing off, however, are new gameplay mechanics. The series’ impressive stealth mechanics have received an overhaul. IO also put time into upgrading AI systems. Interestingly, these changes will be reflected in 2016’s Hitman as well. Hitman Legacy Pack gives the franchise’s episodic entry the technological advances featured in Hitman 2. Fans that own Hitman already will gain free access to these changes when Hitman 2 launches. Hitman 2 hits the PlayStation 4, PC, and Xbox One on November 13, 2018.